If you thought that the ancient Egyptians only bequeathed history a legacy in architecture, language, medicine or agriculture, think again. They were the pioneers of Rock ‘N Roll. An ancient set of statues just unearthed shows just how the ancients rocked-out and howled at the moon. 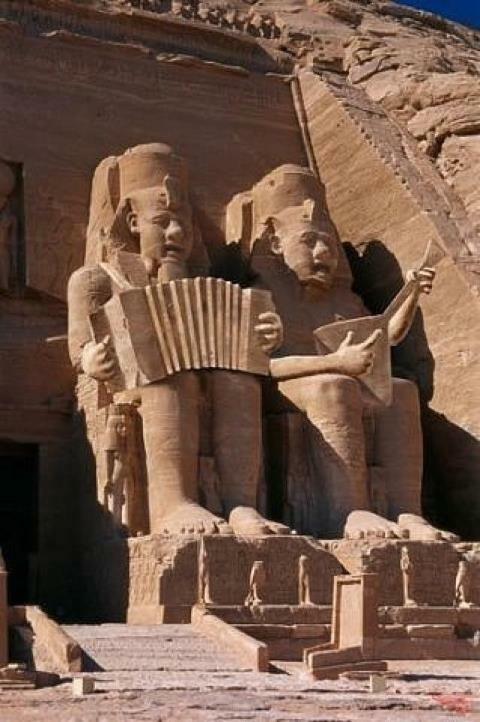 It’s thought that this pair of statues commemorates a Rock Concert benefit in honor of Isis, the future Superhero. Wait! This just in! It’s not Egyptian! It’s Mick Jagger and Keith Richards. Just as old, but not quite as dusty.